Hanoi (VNA) - The Ministry of Natural Resources and Environment (MoNRE) has agreed not to dump nearly one million cubic metre of waste mud discarded by a power plant into Binh Thuan province’s sea following public outcry against the plan. The MoNRE reported on August 9 that it approved a proposal by Binh Thuan authorities in which the mud and waste sand of Vinh Tan 1 thermal power plant would be dumped at Vinh Tan Port instead of the sea. Vinh Tan Port was previously picked as a landfill for the waste mud dredged by the Vinh Tan 4 thermal power plant. The MoNRE’s original decision still had to await final approval of the Government. The ministry’s u-turn came following pressure from the public and the scientific community as the news broke in June. 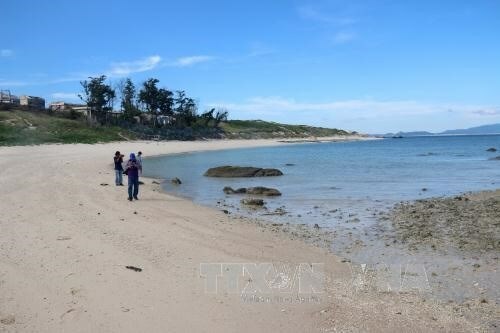 MoNRE’s Deputy Minister Nguyen Linh Ngoc on June 23 agreed to allow Vinh Tan 1 Electricity Company, which is in charge of the power plant of the same name, to dump 918,533 cubic metres of dredged mud and sand into the sea in Tuy Phong district. The sea area in question, however, was located adjacent to Hon Cau marine protected area in Tuy Phong. It is one of 16 marine protected areas in Vietnam. The proposal prompted public protests over fears the waste could threaten the coral ecosystem and sea life in the area. The events took a stunning turn when three of the scientists listed as members of the dumping plan’s environmental impact assessment denied their involvement in the plan, claiming their names had been used without their consent.